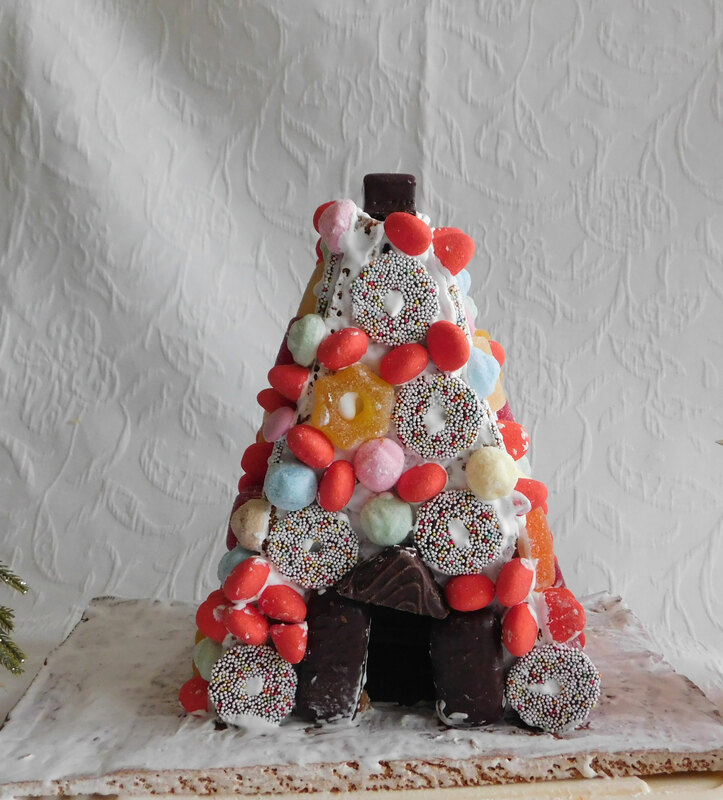 I already shared one German Christmas tradition with you - the Advent Calendar and today I share another one with you - The Gingerbread House. 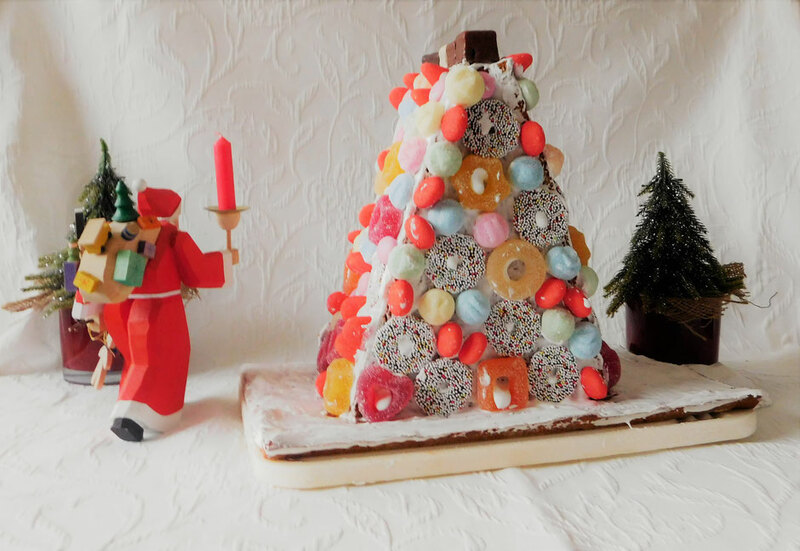 The Gingerbread House is often gifted to children on St. Nicholas Day or on Christmas Eve, but it also looks wonderful as an eatable Christmas decor during the Advent time. First things first, to bake a Gingerbread House takes some time. All in all, it took me about 3-4 hours from start to finish. 1. Put butter, honey, sugar and cocoa powder in a pot, put over a lower heat and slowly bring to the boil while stirring continuously. 3. Sieve the flour together with the baking powder add salt and eggs to the mix. 4. Put the flour mixture in the pot with the butter/honey mixture. 5. Blend together the two mixtures with a wooden spoon. 6. After that dust flour onto the working top and knead the dough vigorously. 7. Let the dough rest overnight. Don't forget to cover the dough. 8. The next morning grease the baking trays with butter. 9. Preheat the oven to 200°C. 10. Roll out the dough on the working top sprinkled with flour to a thickness of 4 mm. 11. Place the dough onto the baking trays and bake for about 15-20 min. 12. Remove the trays from the oven and cut the pieces of your Gingerbread House while the dough is still on the trays and warm. I also cut out a base to place the house on top of it. 13. Now let the gingerbread cool down. I highly recommend preparing stencils to cut the gingerbread into shape. This way the pieces fit perfectly together which is essential for the stability of the house. While the gingerbread cools down you can prepare the icing. 1. Beat the egg yolks until stiff and gradually add the icing sugar. 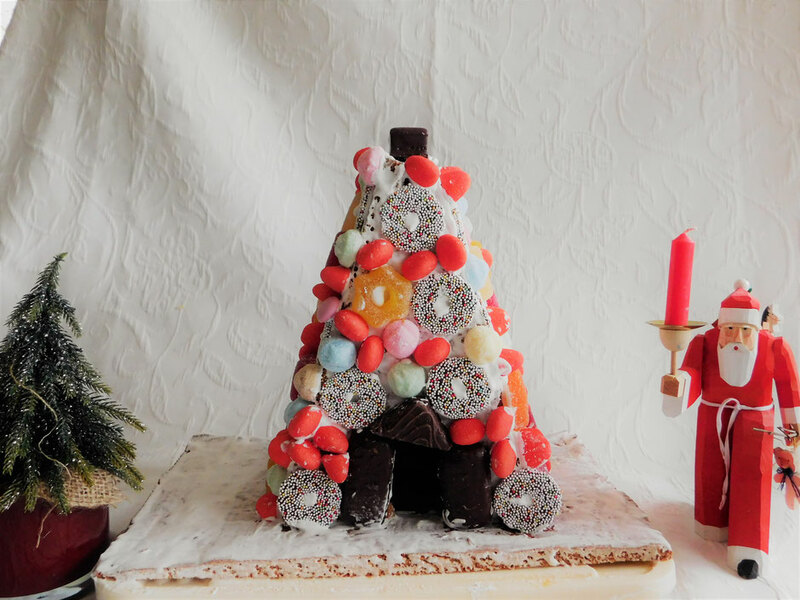 Once the gingerbread has cooled down and your icing is ready, you can start to put the house together and decorate it with sweets. 1. Decide where on your gingerbread base you want to place your house. Make marks with icing on all four sides. 2. Now glaze all sides of the back piece with icing and place it on the base. Keep adding the other pieces in the same pattern until your house can stand on its own. For extra stability, you can glue the gingerbread onto the stencil with icing. You need a second person to put the house together because you can't glaze, place and hold the gingerbread in place all by yourself. Once the house is finished and stable you can move on alone. 3. Let the icing dry to make sure the house is stable before you continue with the decoration. 4. Glaze on side of the roof with icing. 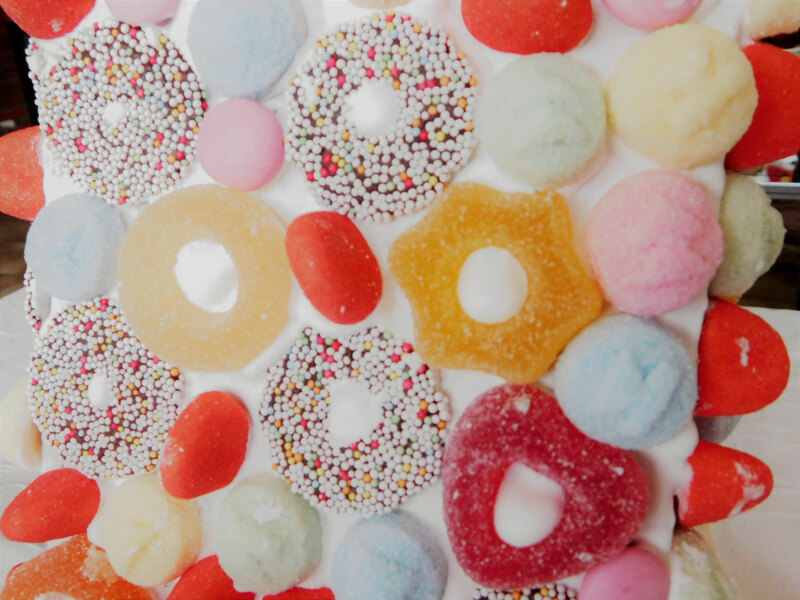 Now start to decor the roof with the sweets. Start at the bottom and work your way up. Add extra glaze at the back of each sweet before your place it on the roof. 5. Repeat the process for all sides of your Gingerbread House. 6. At last glaze your base with icing. 7. Let the icing dry and you're done. Have fun baking and decorating.